Diana Edwards vividly remembers her very first quarterly membership meeting. “It was fifteen minutes long,” she recalls. Diana, now Chairman of the Membership Committee, has been charged by the Board of Directors with the responsibility for creating a format for the quarterly meetings that will be meaningful and which will foster a sense of fellowship among members. With the assistance of Kathie Heller, Diana has been hard at work fulfilling this charge. An hour-long brown bag lunch now routinely preceeds the quarterly meetings, providing a time for members to talk to each other, to exchange information about what they’re doing with their family history research as well as to get to know the officers in attendance. The object is to encourage an exchange of ideas and to give members a sense of community relative to the larger organization. All quarterly meetings will have a theme. Recently the topic was World War I and members were asked to bring in photos and memorabilia of their relatives who had been involved in the Great War. There were many great items on display and lots of stories shared at this meeting. Reaction was very positive with members saying that they had learned a lot. Several people mentioned gaining a new perspective of the role of women in that war from material about the Ambulance Corps brought in by a member whose ancestor had been part of that group. Diana is busy planning future meetings and encourages members to contact her with suggestions of themes and any other ideas for improving the quarterly meetings. You can email Diana at dedwards@californiaancestors.org. Right now she is planning a potluck for the first meeting of the year. Although our organization is located in California, members do not have to have ancestors from this state in order to belong and members come from all over the U.S. as well as many other parts of the world, including Australia. Obviously, members from out of the Bay Area probably aren’t going to attend the quarterly meetings, classes and events. Another one of the duties of the Membership Committee is to create opportunities to make these far-flung members feel that they are as much a part of the society as those who live in the immediate area. This can be difficult although the eNews, the blog, The California Nugget, and other forms of communication do help to bridge the distance gap. Diana hopes that using items with the California Genealogical Society seal (flash drives, coffee mugs) will remind members wherever they may live that they are part of a group that shares their interests and concerns. 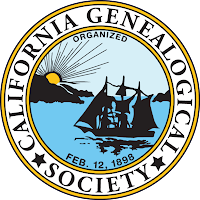 Seal of the California Genealogical Society (CGS). 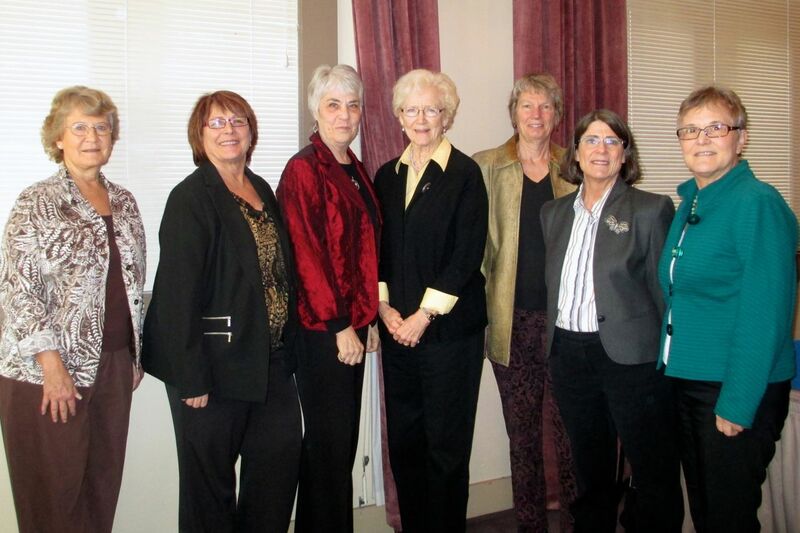 Another responsibility of the Membership Committee is representing CGS at events, meetings and conferences. The committee always has a presence at our events including the recent Ancestry Day in San Francisco. Many new members first find out about CGS at such an event. Member volunteers staff a table every year at the San Francisco History Expo and even at some national genealogy conferences. This year CGS was represented at the Southern California Genealogical Society Jamboree in Burbank and at the Federation of Genealogical Societies (FGS) Conference in Fort Wayne, Indiana. The work of the committee is so far-reaching that it could be said to consist of two sub-committees in order to perform all its functions. The second group is made up of Nancy Servin (coordinator), Nancy Fike and Cheryl Schmidt. They send out the annual renewal notices about membership dues and keep the membership rolls current by tracking changing email and snail mail addresses. Nancy Servin answers numerous questions from members ranging from problems with logging into the website to using member benefits. To help new members take advantage of all the society has to offer, the sub-committee created a new member packet that includes a summary sheet that tells members how to keep current on upcoming classes and events and information about the library, research tours and publications. This sub-committee has a pretty big job since there are currently more than 1100 members to keep track of. According to Sandy Fryer, 2012 chairman and 2013 consultant, that amounts to 2500 emails and over 1500 letters per year. With assistance from QuickBooks, the committee manages this complex database of names and information and gets the notices out on time. One of the features of joining the committee is that, if necessary, members receive QuickBooks training so prospective members don’t need to be database gurus. If you ever thought that all the Membership Committee did was mail out the annual dues notices, you weren’t doing justice to the complexity of all it does! Photograph courtesy of Linda Harms Okazaki, 02/10/2013, Oakland, California. 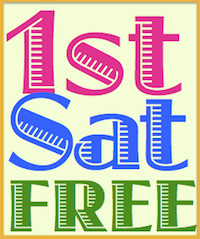 Copyright © 2013 by Marie Treleaven, California Genealogical Society and Library. A truly fantastic group of volunteers doing wonderful work for CGS. Thank you.